»Life»Is the Grass Ever Greener? It’s a common misconception that flexible yogis have an easier time at practice than others on the mat. I’m here to tell you that it’s just not true. The old saying, “the grass is always greener on the other side” comes into play here. It seems like the majority of yoga students put themselves into the “I’m not flexible” tribe. Which is great because one of the physical benefits of yoga is increased flexibility. Some of the fun milestones to witness with students are when the can touch their toes or step through from down dog. I’ve noticed that students are very hard on themselves about their lack of flexibility. It doesn’t help that as students, we have a natural tendency to compare ourselves to the yogi next to us in class. It’s important to remember that the yogi next to you probably experienced much of what the “not flexible” tribe does. They have their areas that are especially tight. For one yogi it’s the shoulders and for another it’s the hamstrings. The fact of the matter is that they are just a little further along on the flexibility journey than you are. Don’t worry, with practice, things will begin to open up and you’ll start to feel a little more like Elastigirl and a little less like the Tin Man. There is a faction of the population that is naturally flexible. Maybe it’s because they are double jointed or have muscles that are really elastic. 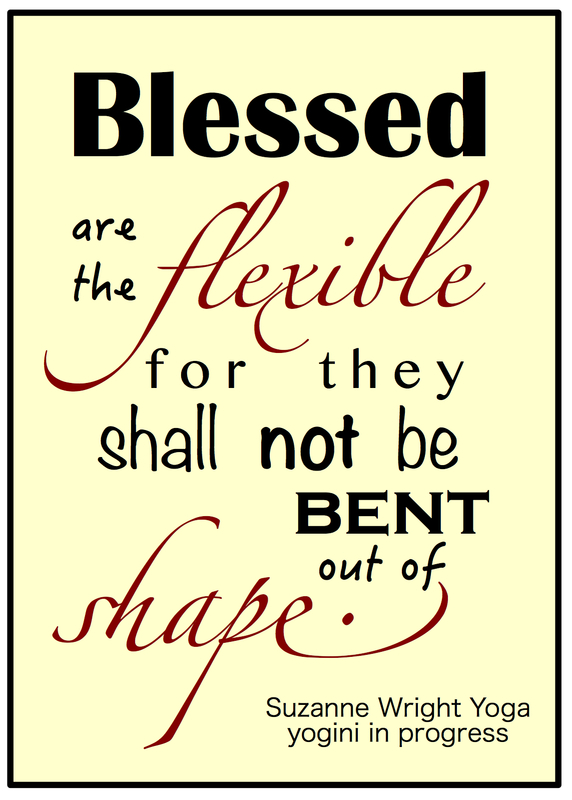 But, don’t think they have it easy, just because they are flexible. Yogis with a naturally wide range of motion have their own burdens. Rather than creating openings, they have to work hard to create structure. (You didn’t know there was a benefit to being tight, did you?) Sometimes this can be just as big, if not a bigger challenge than creating openness. For example, it’s a lot easier to stretch out an elastic waistband than it is to get it back to it’s original shape. An open yogi may have a more challenging journey with arm balances that someone who is tight. With tension in the muscles, comes structure, which can help you safely support your body weight. Without it, structure and foundation has to be cultivated for a safe entry. Even a pose as simple as triangle can have it’s challenges. For someone with a high range of motion in their knees may need to work harder to create the base structure in their legs to protect their joints. It doesn’t really matter which tribe you call your own. Whether you are physically flexible or not, the most important area to open is the heart. As yogis, we can take these challenges of physical flexibility or inflexibility and use them to open our hearts and minds. As we practice and explore physical and emotional range of motion it’s important that we don’t shun the feeling that bubble to the surface. Rather, we can use these opportunities to dig into and explore our emotions, intention and connection to the divine. The grass isn’t always greener on the other side, we all have our struggles and challenges. Each has value because they are authentic to us. Be flexible in your mind, in your spirit and in your willingness to practice and try something new. If we can do that, they we will begin to open both physically and emotionally.